Have you ever wondered what happens to your brain when you pass on? Well, I for one have on more than one occasion, and now we might finally have some answers. For some when they are experiencing clinical death their brains send them to a beautiful place in their mind. For some, they are even merely walking down a tunnel of darkness looking for the light. Sure, many of us think these places are the afterlife but are they? Scientists for many years have said something amazing within the brain is driving our last moments of consciousness. Back in 2013, a study was carried out by the University of Michigan that found after clinical death occurred in rats their brain activity flared. These revealing electrical signatures of consciousness that exceeded levels that were found while the animals were still in their waking states. While your body is dead your mind is still alive. Most research suggests that when we die even if just for a short period of time we are aware that we are dead. This claim was made by Dr. Sam Parnia, who happens to be director of critical care and resuscitation research at NYU Langone School of Medicine in NYC. He and his team studied those who suffered a cardiac arrest and experienced clinical deaths. These people were revived and became part of the largest-ever study on death. 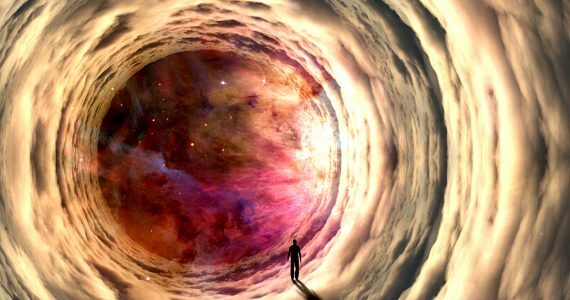 This study seems to suggest that people are aware they are dead because their consciousness is still working even when the body is no longer showing signs of life. You see, the time of death is considered to be the moment the heart stops but even then the brain is still going. It seems that when we pass there is an initial feeling of peace and that many people who die and are brought back are mad that they have been brought back. They feel as if they did not want to return to their bodies. Parnia does not believe this is a hallucination because of how often the deceased are able to repeat to the doctor’s everything that had been said in the room while they were ‘dead.’ I guess we will never truly know until that time comes. What do you think happens to the brain when we die? And while a lot of this might not seem very comforting, the truth is – we don’t know. However, during the experiment with Dr. Shaw he interviewed a lot of patients asking them about their near death experiences. One of those patients gave an answer that I found to be extremely beautiful and comforting. Hopefully, you will too! What happens to the brain when we die is not an easy question to answer. It seems to be something you have to just experience for yourself when the time comes. However, the subject of death is very fascinating to many scientists and who knows what the future holds when it comes to this.